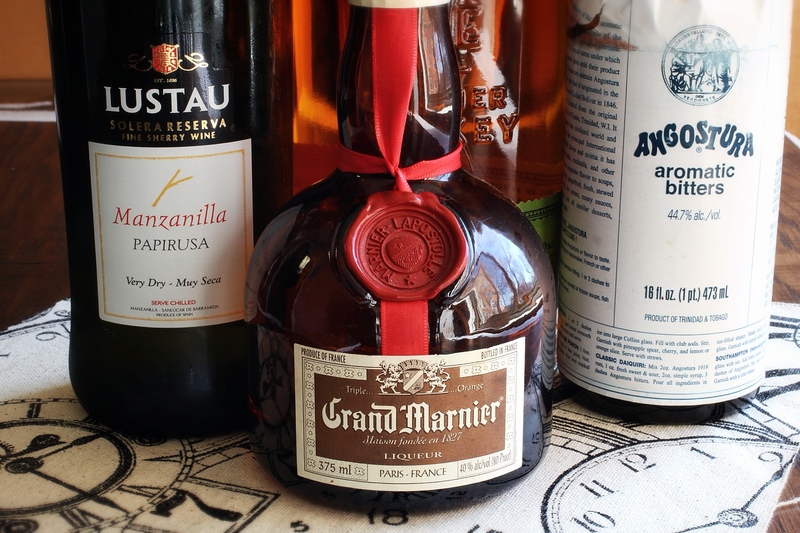 Add the rye, sherry, Grand Marnier and Angostura bitters to a chilled mixing glass. Add ice and stir until well chilled. Strain into a chilled cocktail glass. Spice, leather and orange on the nose. Light crisp spiced flavor with almost a smokey presence, with accents of clove, orange and a smooth finish. The flavor varies depending on the type of sherry you use. I went with Manzanilla which is a lighter and drier type. If you were to use a sweeter sherry such as Oloroso, the taste would be closer to a traditional Manhattan. 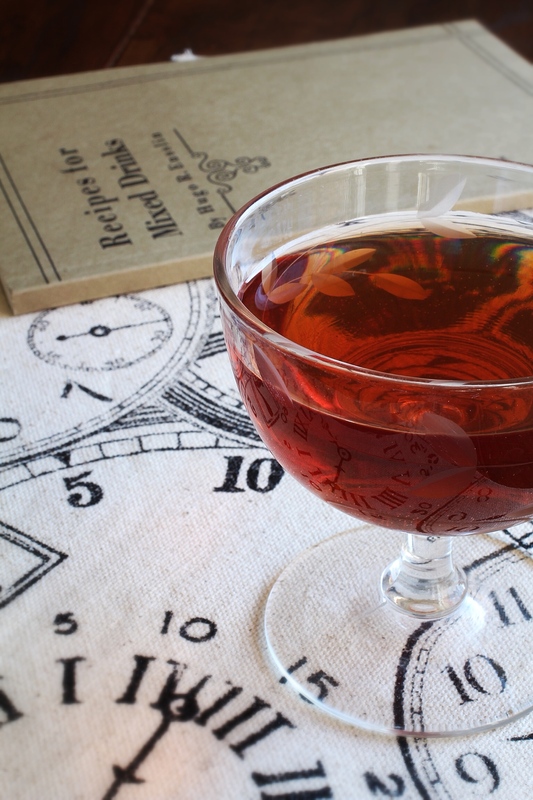 While it may sound a bit funny that a cocktail from the early 1900s is called Up to Date, this Manhattan-esque classic, made with rye whiskey, Grand Marnier, and sherry, is no laughing matter. The oldest reference I’ve seen for this drink is the 1916 edition of Hugo Ensslin’s Recipes for Mixed Drinks. This once-forgotten collection has become one of the more famous historical cocktail books, and some claim that it was the last drink-recipe book published prior to Prohibition. But who was Ensslin, and why should you care? First of all, simmer down. Second, Ensslin was the head bartender at the long defunct Hotel Wallick in New York City and is credited with being the first to record recipes for a few great cocktails, including everyone’s favorite bluish classic, the Aviation. The book was billed as “a complete list of the standard mixed drinks that are in use at present in New York City,” and Ensslin sold copies for 50 cents. Only one problem: no one bought it. Fast forward to the modern cocktail revival. The rediscovery of Ensslin’s unpopular little book has helped drinks historians trace a number of cocktails back further than originally assumed, and even corrected an error or two. For example, the Aviation was made for decades without crème de violette because later, more popular books, like the Savoy Cocktail Book, transcribed the recipe without it. 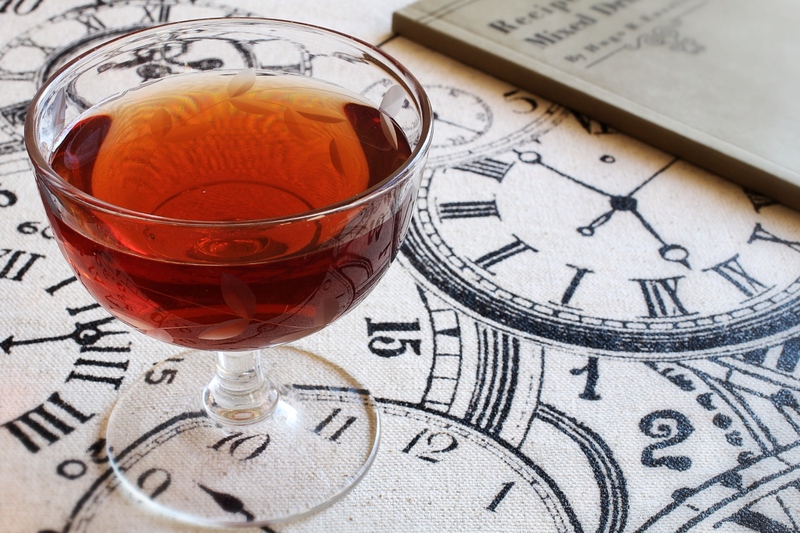 While in the future we may discover an even older source for these drinks, for now, Ensslin’s book brings us more up to date in cocktail history. This post also appears over on Serious Eats: Drinks.